7 Kids and Us: Pixel Pals by PDP Products! 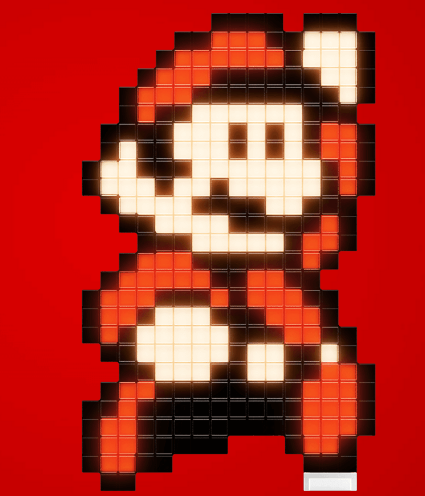 My boys are really into anything Pixelated, or Retro...is Mario really retro? I am so old! Anyway...they love everything that was cool when I was a kid, as far as video games go. So, when I showed them the Pixel Pals by PDP products, they were in love, and claimed their favorites right away. Xander loves the Fire Mario, and Riley loves Vault Boy. The second I had them out of the box, they were opening and looking for batteries. 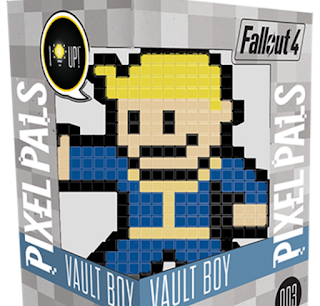 Pixel Pals take AAA batteries, and light up. They stand up on their own, and each pixel lights up, they are so cool and awesome for any gamer. You can purchase them online here for just $14.99!